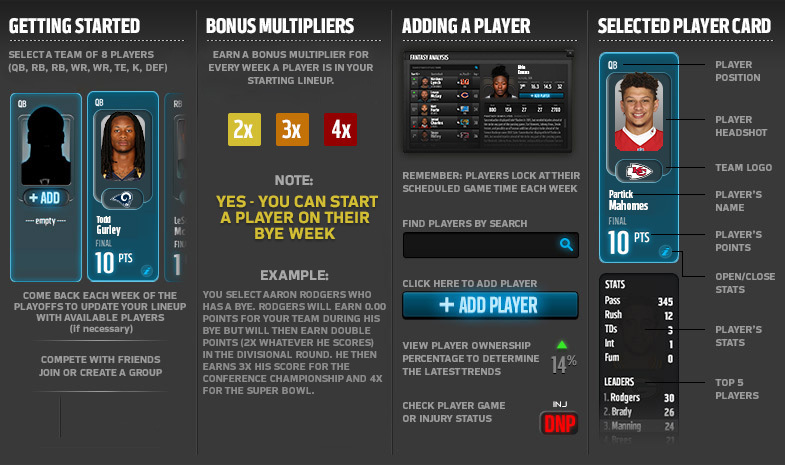 I set up a VMB group for NFL.com's fantasy playoff challenge. It's fantasy football, with a playoff twist! You can also join the GameOn! Group using password: Theegameonguru we are giving away weekly and ovèrall prizes. Gift cards to Seven, Ginger Hop, Malone's, Melting Pot and more! !